Did you know that there are more than 60 varieties of sunflowers? I had always assumed that all sunflowers were those bright yellow beauties, like the ones in the picture above. This was just one of the many interesting tidbits I found in this book. 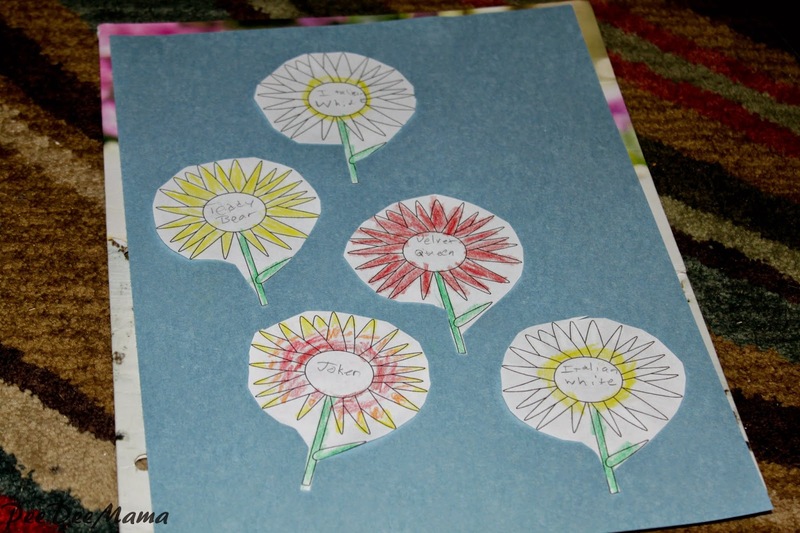 The Sensational Sunflowers e-book is only 24 pages, but it contains a lot of information and activities. 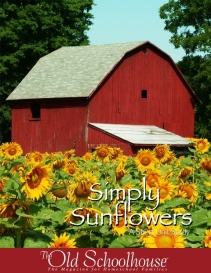 It shares interesting facts about sunflowers in general, as well as descriptions of 5 types of sunflowers. 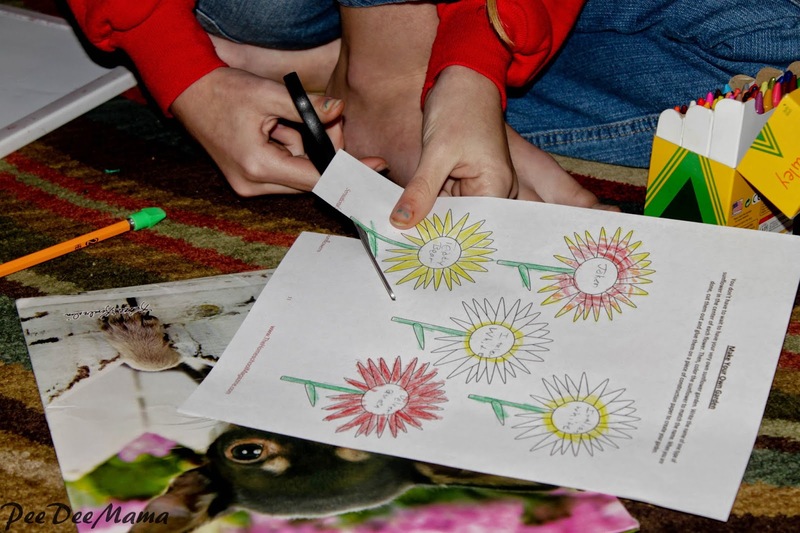 There are also instructions for how to grow your own sunflowers, as well as a link to preparing sunflower seeds for eating. The e-book also contains instructions for a science experiment, copywork pages, and activity pages like a word search and creating an acrostic poem. 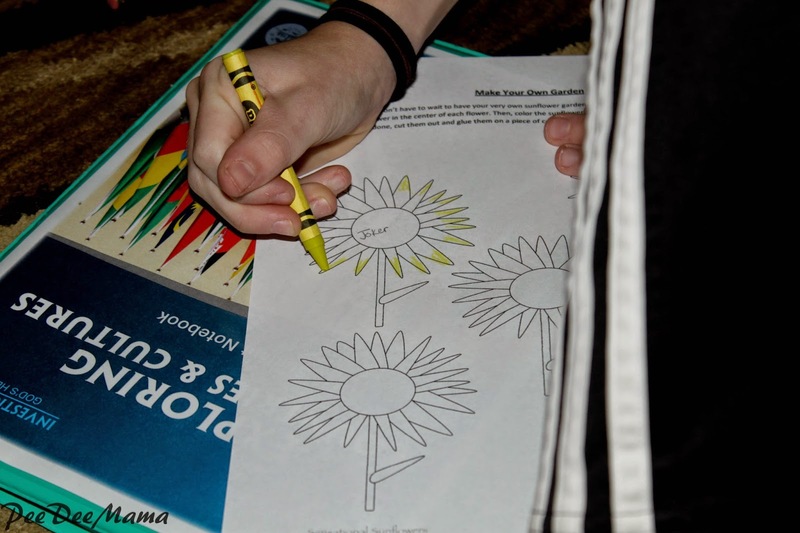 The final page contains links to websites with additional sunflower-related activities. Like I mentioned earlier, this e-book went right along with what we are studying in geography. 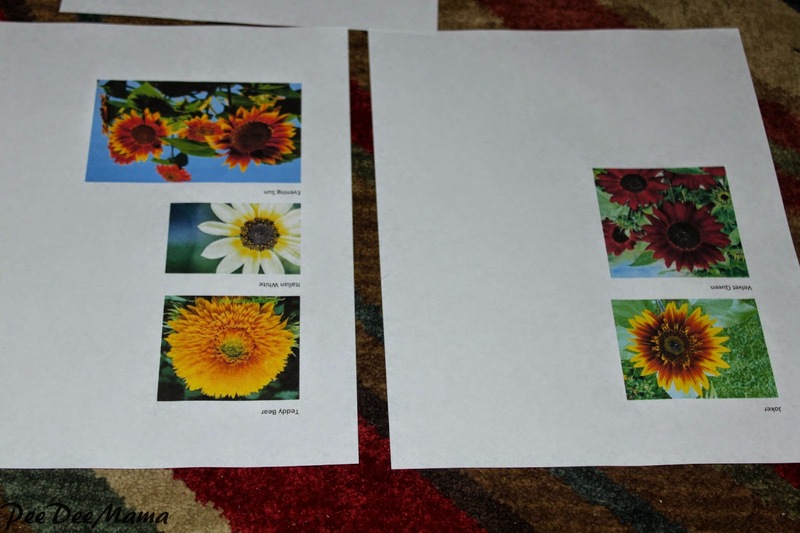 The girls and I studied the different types of sunflowers presented in the e-book: The Joker, The Velvet Queen, Teddy Bear, Italian White, and Evening Sun. Unfortunately, the links in the e-book to images of the different varieties were broken, but I was able to google to find images for the girls to use. 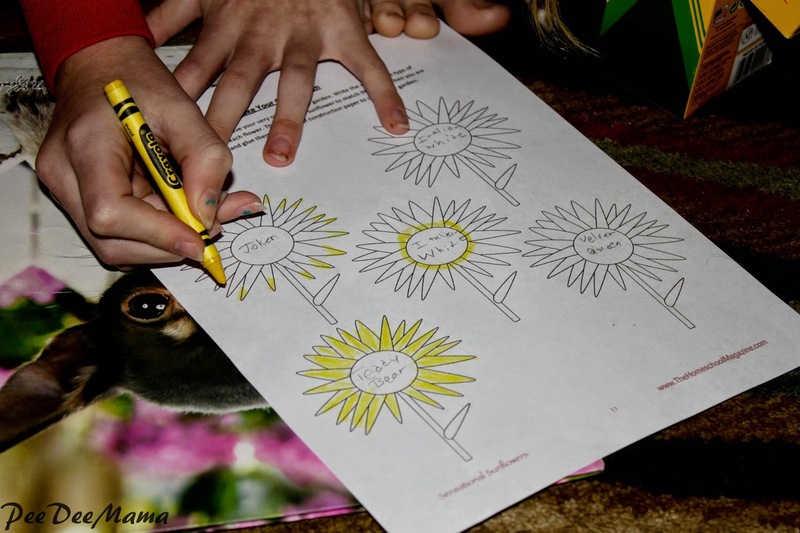 After we talked about the different varieties, the girls used those to complete one of the other pages in the e-book, where they were able to color sunflowers to match the different varieties we studied. 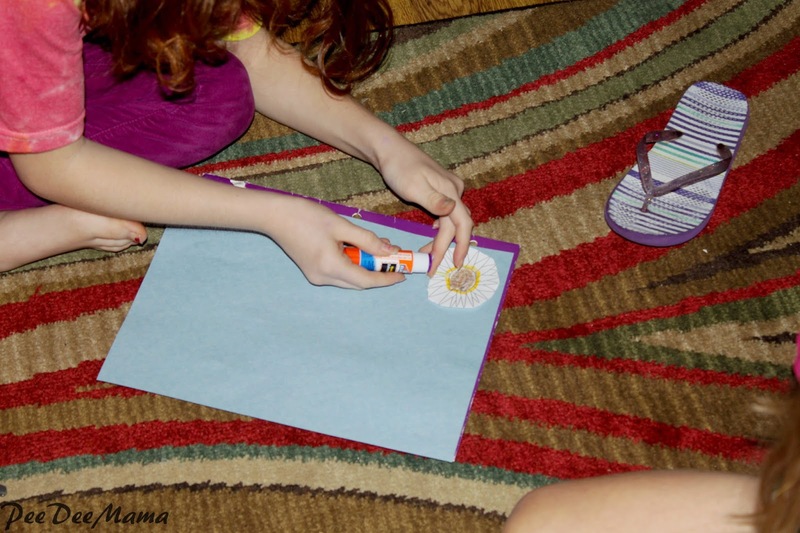 One of my other favorite pieces that I used with my girls was the handwriting practice sheets. I love when I can incorporate something meaningful into handwriting practice. 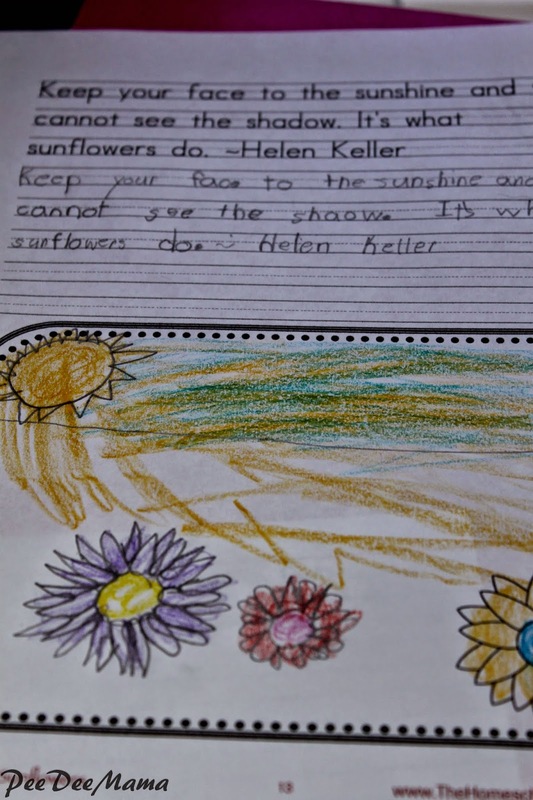 The Sensational Sunflowers e-book includes several good quotes about sunflowers to use for handwriting practice (both print and cursive). Each handwriting sheet also includes an area to do more - draw a picture, look up a vocabulary word from the quote, or delve deeper into study of an artist. The Sensational Sunflowers e-book is a great value to do a short unit study on sunflowers or dig a little deeper into something that comes up in your regular study, like we did. So far we've only done a couple of the activities in the book, but there are so many more that I am planning to do with my girls. 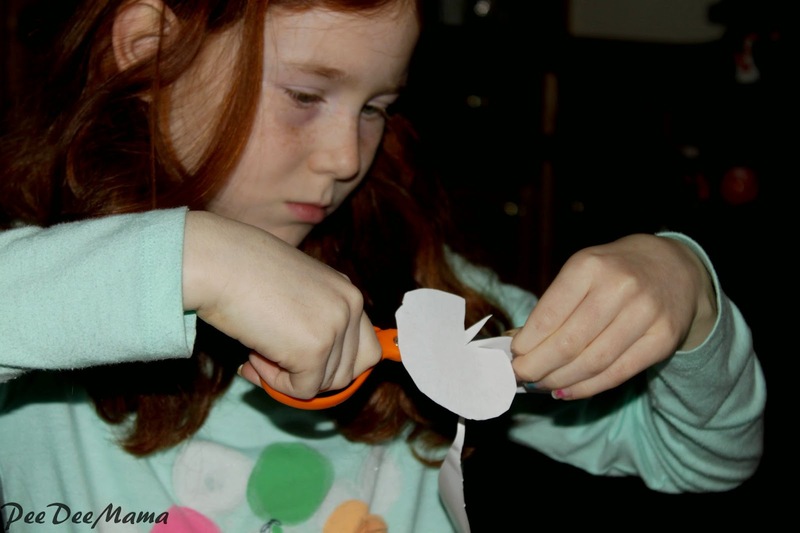 I like that there are links to additional crafts and other activities to try as well. I also am planning to do the plant growth science experiment this spring; right now it's just not the right time for us to try to grow plants. The only drawback was one I mentioned earlier, the broken links to the images of the different varieties of sunflowers. That, however, is a small inconvenience, and one that was easily fixed by simply looking up the images myself. My girls enjoyed learning more about sunflowers, and at least a couple of them are very excited about planting our own sunflowers this spring. 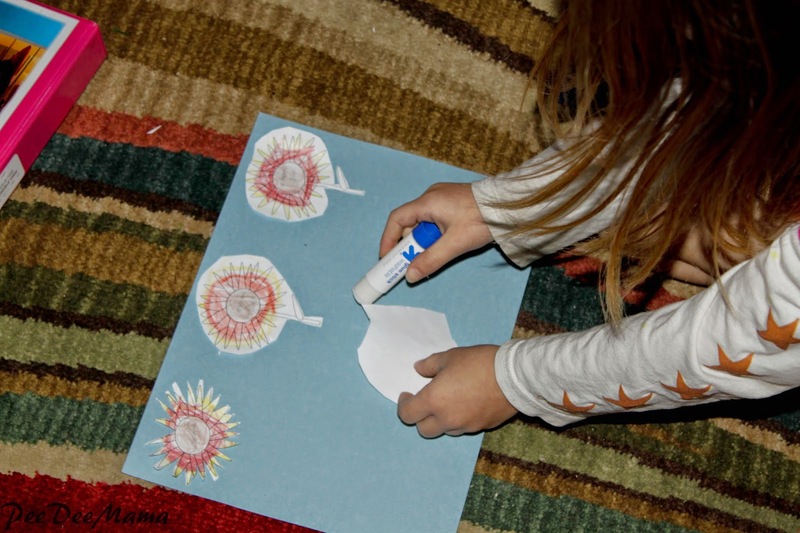 I encourage you to check out the Sensational Sunflowers e-book over at The Old Schoolhouse. In fact, look around and see what other e-books they have that might supplement what you're working on in your homeschool.